Well we have grown, right? Our tastes are more refined now, right? Anyway, (after I finished a few watermelon triangles on the back porch, spitting a few seeds, and after going inside to wash the juice off of my elbows) I made this incredibly tasty salad filled with simple ingredients I love: arugula, watermelon, feta cheese, mint, parsley, olive oil, red onion, and jalapeno. You can grab the recipe right here at Saveur where I too became inspired. Watermelon is at its peak, abundant and locally grown. 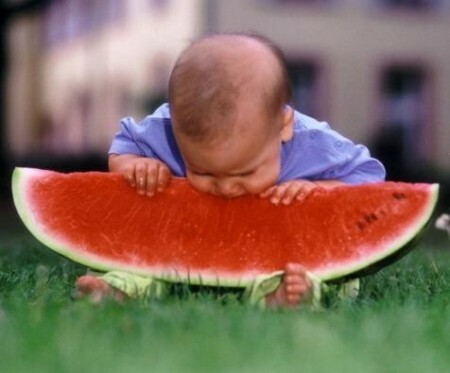 So how far can you spit a watermelon seed? I have yet to buy a watermelon this season! 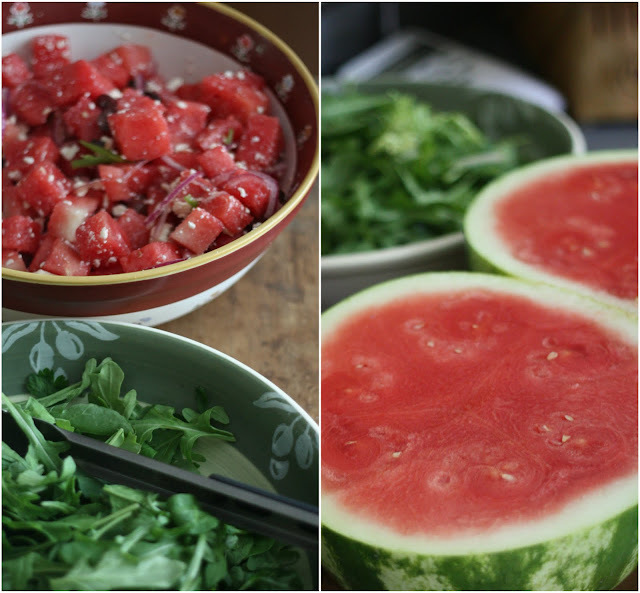 This salad reminds me of the feta and watermelon we used to eat in Lebanon by the pool every summer day. You are tempting me to go get me some!